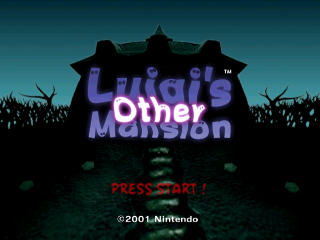 Luigi's Other Mansion is a modification of Luigi's Mansion that shuffles around the entire mansion with different ghost layouts, item locations, room orders, and even includes several difficulty changes that are seen in the 3DS remake version of the Hidden Mansion. Patch is intended for USA copies of [GCN] Luigi's Mansion, and is to be used with the "xdelta" patcher. Patchers don't really work that way... They can't be file type specific if that's what you're trying to say. They find the differences between two files and creates a file that stores those differences.